31/8/11 – This new lift should be a cracker – but how to choose between the 22 ways down? 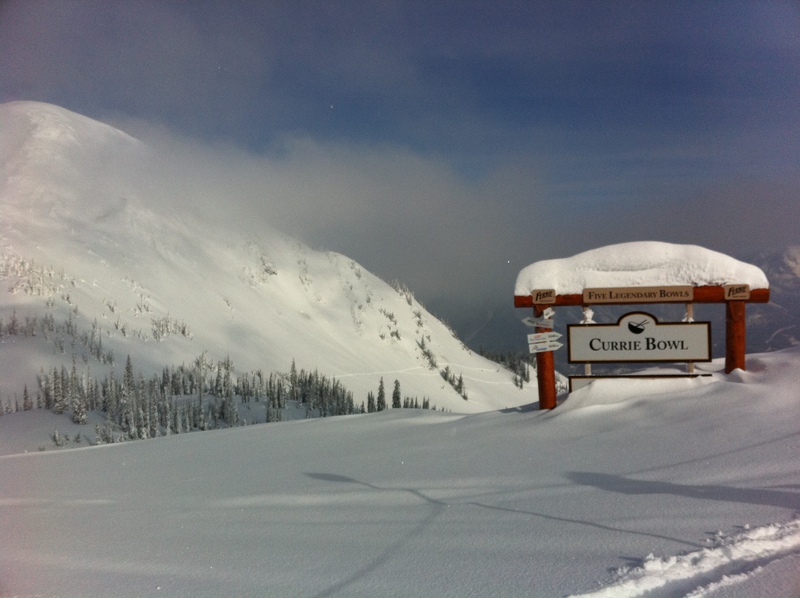 I heard this week that a tasty piece of terrain is due to open up this winter in Fernie, my favourite Canadian resort. 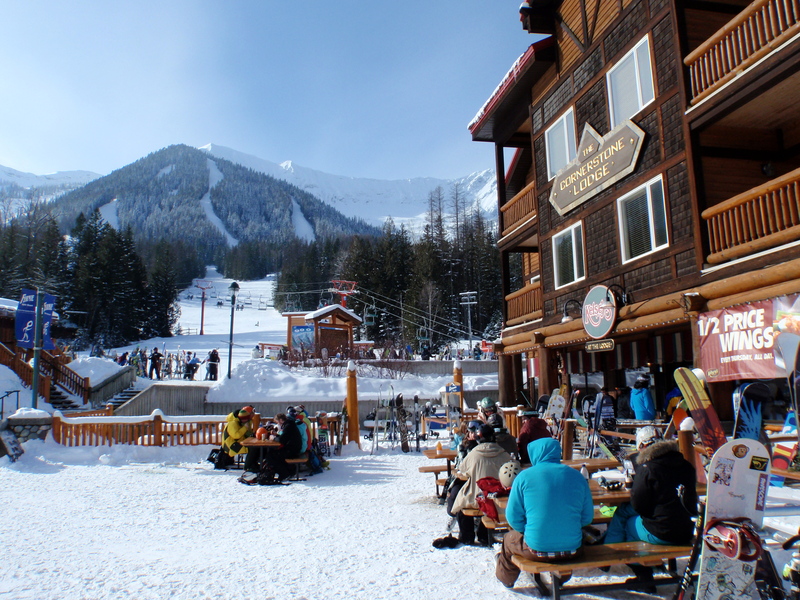 Well, I admit Fernie is the only mountain I have skied so far in North America, but that’s by the by: the place is known for its steep, gladed ungroomed slopes and when I was there it lived up in a big way to its slogan of ‘legendary powder’. The new chair, apparently a three-seater, is being built on Polar Peak, a mountain locals already hike up when conditions allow, to give them a steep, open descent. I believe this is also a route up to the headwall, an extreme descent for the seriously intrepid and for freeskier competitions. The top of Polar Peak rises behind Currie and Lizard Bowls, beyond the top stations, and will provide those crucial extra feet of altitude that will allow Fernie – which marks its 50th anniversary as a ski hill this season – to boast that it has biggest vertical in the Canadian Rockies, at 3,550ft. For Europeans the extra feet are probably no great shakes, as plenty of Alpine ski areas have a far greater vertical drop (measured in metres in Europe). What is intriguing to me, though, is that the new Polar Peak lift is due to provide an extra 22 runs. This is something that amazed me on my visit to Fernie: there are only a handful of lifts (five meaningful chairs and one t-bar) yet the lift map details something like 117 runs. I thought this was a gimmick at first, but most, I was surprised to find, are identifiable and merit their status as individual runs, even though many are not groomed and marking is patchy. (As is usual in North America, all are avalanche-controlled.) Of course some of these runs are short and some lie close together, but I defy a mountain in Europe to have anything approaching this ratio of lifts to runs – sometimes it’s the other way round. Today I came across a post on the forum of the website pistehors.com that linked to this somewhat alarming clip of a novice in trouble on a rope tow in Alta, Utah. The minute’s footage, I reckon, proves that the simplest uphill contraption can be misinterpreted. The other day my ski-mad cousin, Piers Forster, told me how he’d got caught up in a rescue operation on the slopes of Hochgurgl this April after a pile-up on a t-bar. The track was icy and steep, and several members of a British family had slipped off, slid backwards and knocked off the next pairs of skiers. And the next. Pylons, I gather, were involved, and at least one person was badly injured. Piers and his family were nearby, and after calling mountain rescue my cousin himself became an unexpected hero. That morning, he had been up at 5am ski touring to the Langtalereckhuette and still had a rucksack full of gear. While the rescue guys were struggling to reach casualties on the slippery slope, Piers clipped on his crampons and tramped up and down the ice, helping get people to safety. I have spent a lot of time on t-bars, having done much of my skiing in Anzere, Switzerland, where half the lifts are still t-bars. When I was little my godfather, a beginner, joined our family on a trip there. He headed ambitiously down La Combe, a red run, and while he got to the bottom without mishap, it took him all day to get back up again. A few years later a family friend broke his leg on Les Luys when a classmate fell off and slipped backwards into him. 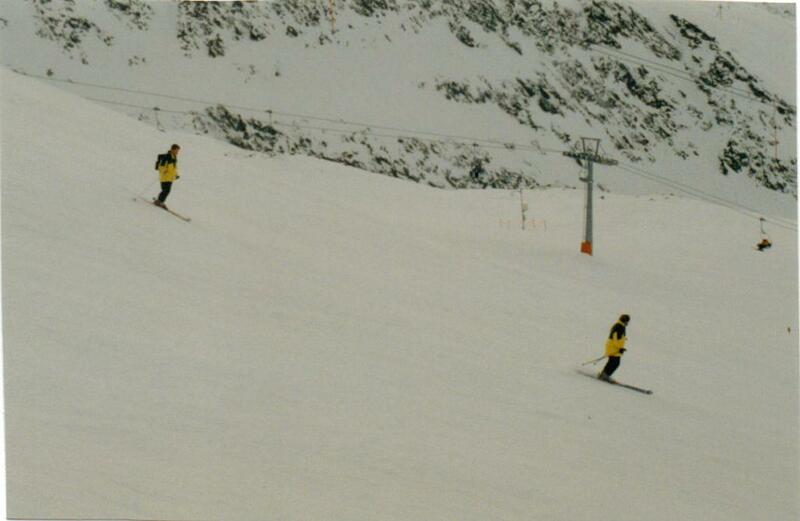 And when I was a ski instructor aged 19, my class of children once scattered on the Tsalan t-bar, some at the top, some at the half-way station and some between the two, after my instructions for disembarking had clearly been unclear. So, although chair lifts have replaced t-bars in many places, they are still about, and it’s important to know how to go up safely. 1. Go up in pairs. Not only is it infuriating for others in the queue if people go up singly, it can be more difficult, especially on t-bars with a short shaft, which leave a lone rider unbalanced. 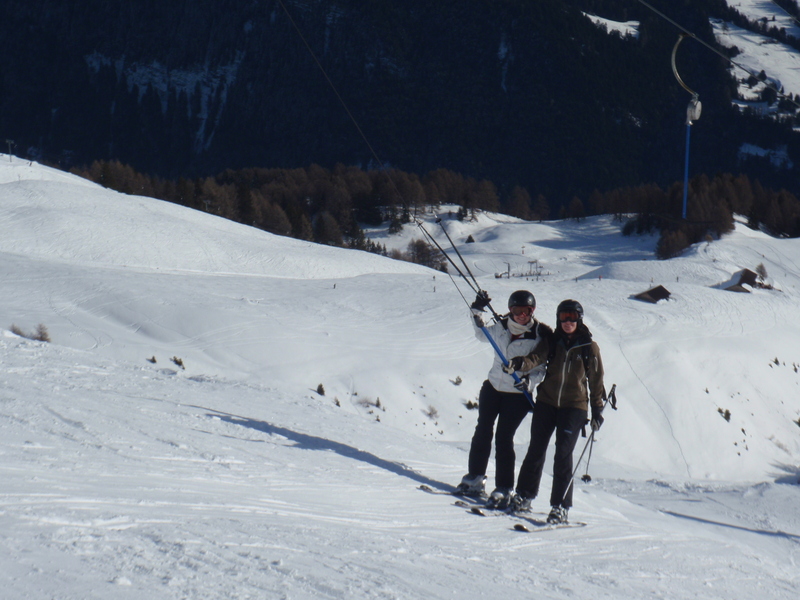 And it’s more sociable: who knows who you might end up on the lift with? 2. Get on properly. Take off your pole straps as you reach the front of the queue. When it’s your turn, step into the space, being careful not to get tangled up in each other’s skis, and let yourself slide backwards into the wooden stop behind you, if there is one. 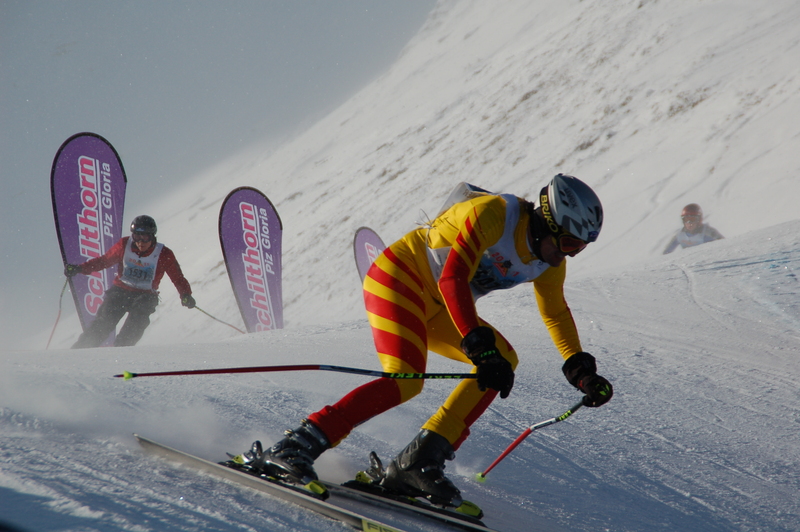 Have your skis hip width apart. Don’t scrabble forwards – the t-bar will take you there in a minute. Hold both sticks in your outside hand. Face your upper body slightly inwards, towards your partner, turn your head to watch the t-bar approaching and stretch your inside arm behind you to catch it. Then thank the lift man! 3. Take off correctly. After you catch the t-bar, continue to hold the shaft with your inside hand. Hold the outside end of the cross-bar with the outside (stick-holding) hand. Avoid gripping too tightly as this will make you stiffen – just hold on for balance. Do not sit down or stick your bottom out. Let the cross-bar pull you along from behind your bottom, where it should rest on the lower to middle part of the buttocks. Stand upright, knees slightly flexed, upper body leaning slightly towards your partner. Keep your skis in the track, without your two inside skis touching each other. 4. Trouble-shooting. Most problems come from pairs leaning outwards, whereupon the inner skis press against each other, throwing both skiers off balance. If this happens, lean your upper body more actively towards your partner, shoulders pushing together. You can widen your outside ski for balance. On steeper stretches, lean your upper body slightly forwards and inwards. If the track is bumpy or icy, concentrate on leaning in, not holding the shaft too tightly, keeping your inner skis away from each other. And don’t forget to look ahead. 5. Children. It’s fine to put children on together – make sure they stand correctly for take-off (see point one) and they’ll usually just get on with it. Carry their sticks the first few times. To ride beside a child, put the cross-bar behind your knees/thighs to allow for the height difference. For tiny children, as long as you’re a good t-barer yourself, you can take one between your skis: our family used to ascend four to a t-bar like this. Lift the child in place at the start, and keep your knees together when you set off, so the child can lean on them. I’ve seen adults hanging desperately onto hoods or collars to stop tinies slipping back through a hole between their knees. 6. Getting off. Don’t get off until you really are at the top, usually a run-out after a hump. Stand a bit more upright, release the bar from behind your bottom, part company with your partner and throw the t-bar towards the chute. Clear the area – get right out of the way so the next pair has space to get off. If there’s a tiny run-out or a sharp exit, you may need more of a push to get free of it. Some people like to decide who’s going to get off ‘first’, which is fine, too. If you’re riding up with someone less experienced, put them on the ‘easy’ side for dismounting. I bring you good news. This winter one tour operator is supplementing the tradition of tea and cake in some chalets with beer and nachos when guests come in from the slopes. I rarely stay in a chalet as I prefer to be free to eat when and where I like in the evenings and find the ‘sameyness’ of the chalet routine unappealing. However, if, like thousands of Brits, I was a habitual chalet-dweller, I would be drawn to this new tea-time option. I find that if you get apres-ski done and dusted, preferably in your ski clothes, before supper instead of after, you still feel you’ve had a night out but you wake up on top form the next morning. 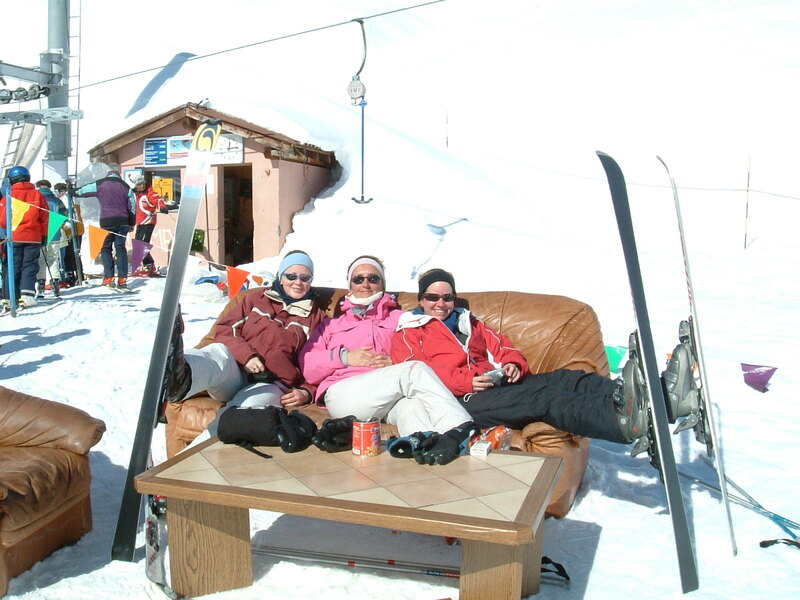 For people of my vintage, one downside to the beer-and-nachos chalets – operated by Crystal Ski in Val Thorens and Tignes – is that they are aimed at late teenage and twentysomethings (the clue is in the name, Riders’ Lodges). So for those who yearn for their own beer-and-nachos rather than tea-and-cake moment, but feel they are too square or seasoned for a Riders’ Lodge, here are my top three ‘afternoon nights out’ in the mountains, all of which are do-able whether you’re a chalet-dweller skiving off tea and cake, or based in a b&b, apartment or hotel. 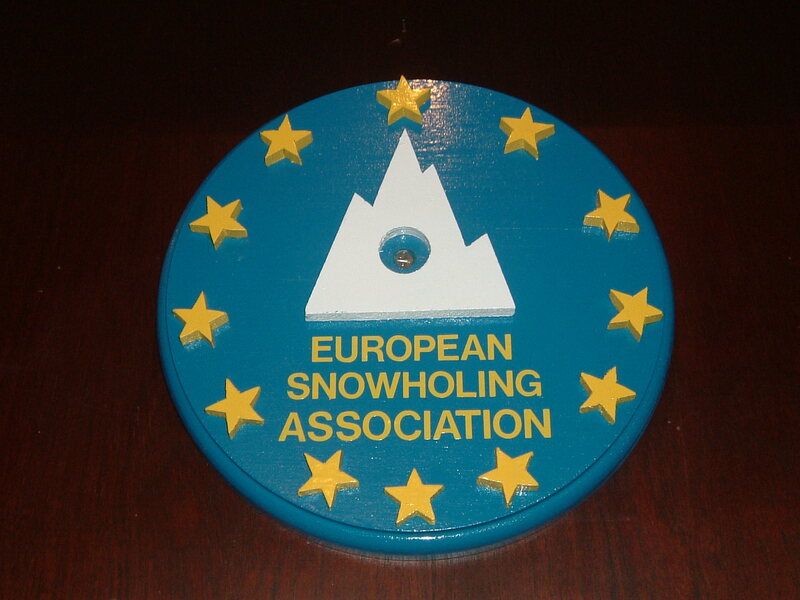 1st prize: Nederhuette, Obergurgl – When I worked for Inghams as a ski host in the 1990s, I ‘had’ to take my group to this brilliant mountain restaurant three times a week for apres-ski. Owner Rudi Gamper has a winning formula: a rustic, atmospheric interior with rock-solid tables and benches, super-efficient service, excellent food at sensible prices, a decent sun-terrace and an umbrella bar. Mondays, Wednesdays and Fridays from 4pm he is the star of his own show, taking to the stage with a buddy and singing, strumming and squeezeboxing till at least 7pm when it’s time to locate your skis and wobble down the blue run home (or take the free skidoo if you’re not on skis). 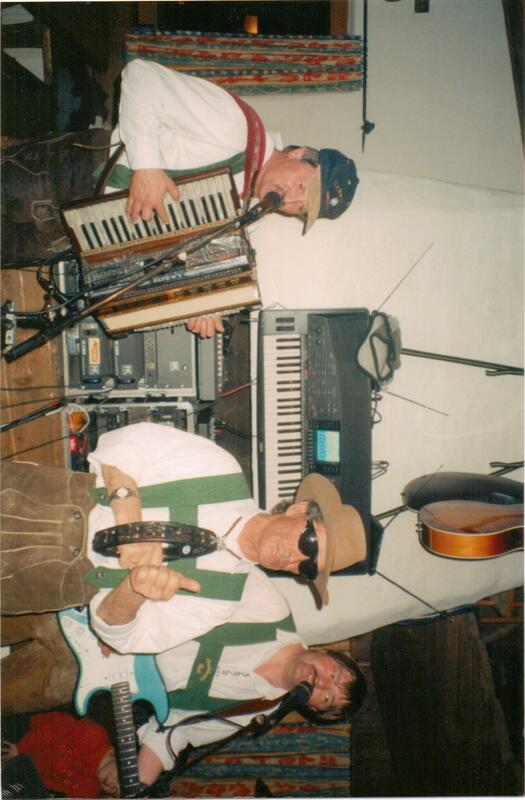 Their songs range from the Oetztaler Bergsteigerlied (a song about the joy of climbing), which incorporates a good yodel or two, to Pink Floyd, Europop and apres-ski staples. The Germans go especially wild when Rudi plays U2, and we always enjoy his rendition of Vest Wirginia. There’s much dancing, stamping and whirling, plenty of sweaty and unflattering ‘base layers’ on display, an array of nationalities and a spectrum of ages, from grandparents to ten-year-olds. 2nd prize: Most places, Ischgl – Brits are only slowly waking up to the allure of this now quite large village, where the Germans have been enjoying themselves for years. I skied here aged 10ish and then not until this year, having been discouraged by its reputation for ‘seedy’ apres-ski. 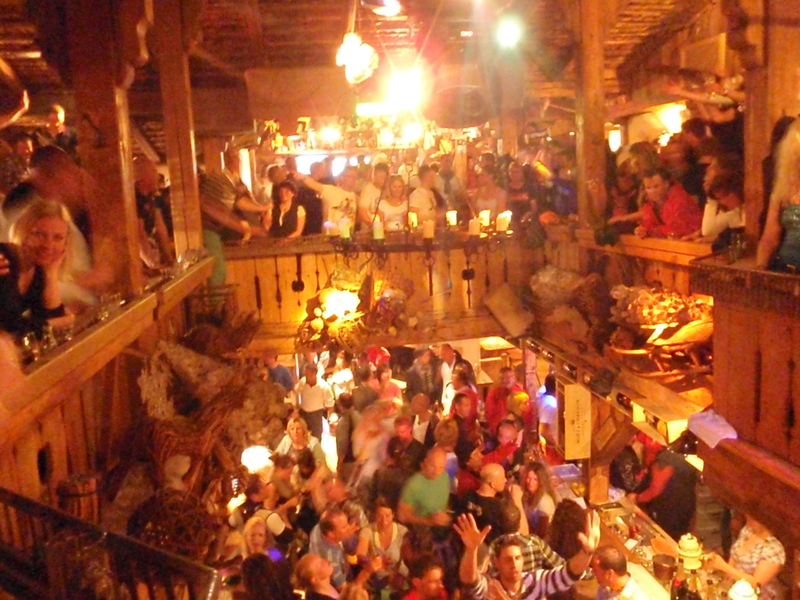 However, the couple of girly bars are only a tiny part of Ischgl’s very lively 3.30ish-7pm scene, and if you opt for one of the rustic, pine-clad locales you should be ‘safe’. 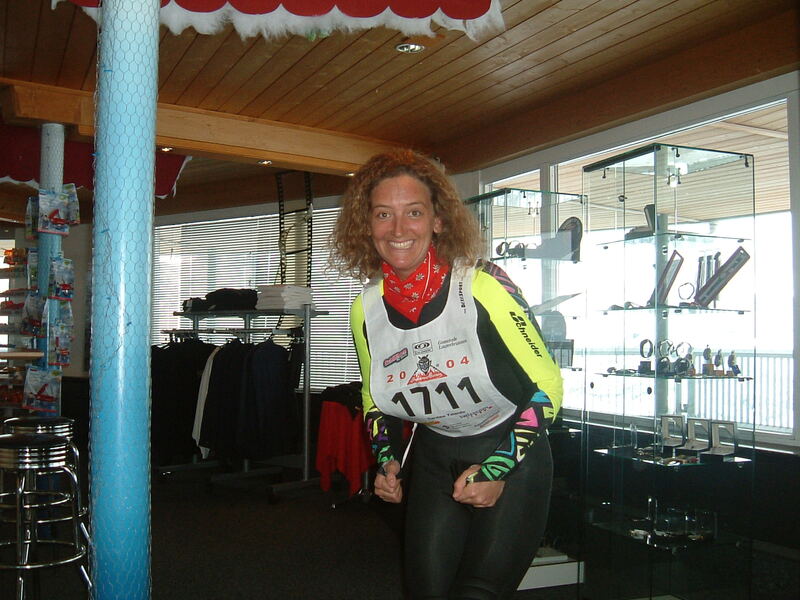 We spent from 4.30 till 6 in the Trofana Alm, a smaller and more bling-studded version of the Mooserwirt (see below). We liked the Kuhstall, too, and were told Niki’s Stadl, the other end of town, was a winner between slopes and supper. For more on Ischgl see these posts http://tinyurl.com/3rjoenl and http://tinyurl.com/3lhbyxe. 3rd prize: Mooserwirt, St Anton – Detractors say it’s crowded and over-rated, but if you get it right, the Mooserwirt remains one of the most fun places to pile into before supper. Read my blog on how to make the most of it: http://tinyurl.com/3jlzeae. If the Riders’ Lodges sound more like your thing, as well as beer and nachos you will find modern ski-themed art, X-Box 360s, games (electronic ones, I think, rather than Scrabble), snowsport DVDs, walkie-talkies and a ‘snow guru’ – a sort of 21st-century ski host. Sensibly, though, they haven’t done away with that vital ingredient for a happy chalet: the good old log fire. Welcome to the second instalment of pictures from my his-and-hers library. If you’ve read part one (http://tinyurl.com/3pbzz37) you will know what it’s all about. Twin-suits roaming the slopes a deux, attracting a chuckle from people like me. 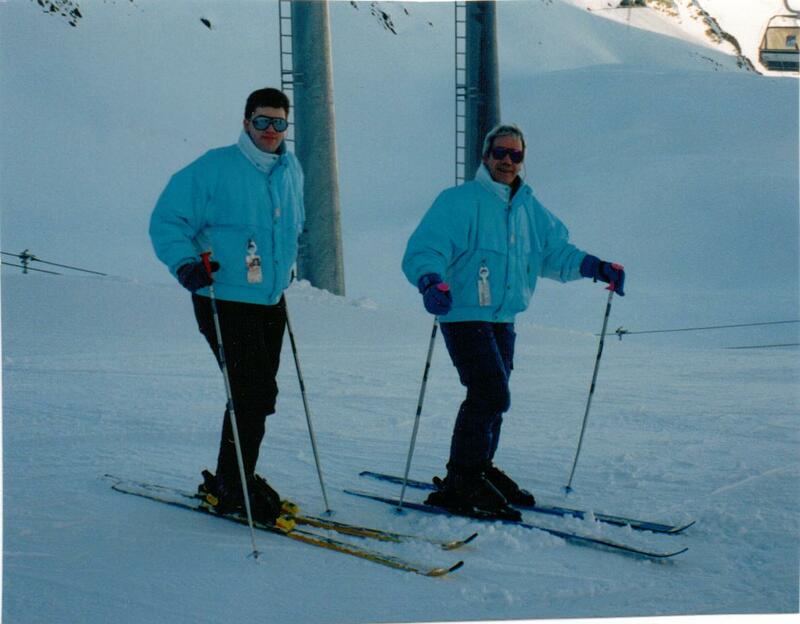 I was lucky enough one day when ski hosting for Inghams in Obergurgl (perhaps in 1997) to have my very own his-and-his in my group – a father and son in identical pale blue jackets. I remember them being very nice chaps and I think they had the plausible excuse that the coats were something to do with the family firm. 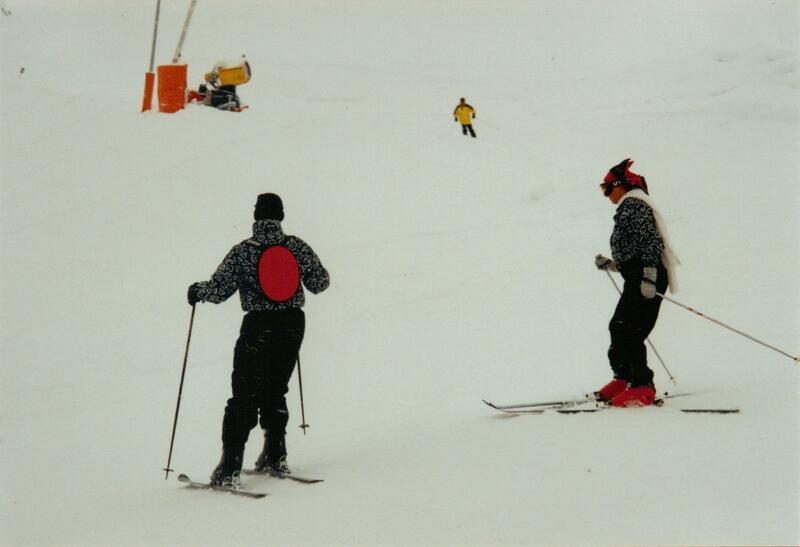 I wonder if hitting the slopes clad in his-and-herses makes couples more harmonious on ski holidays. Common is the sight of a bored husband waiting impatiently at the bottom while his wife slides nervously down. Last winter a friend and I came across a classic on St Anton’s Rendl slopes: the husband fed up, planted in the middle of an icy red run and bellowing unhelpful instructions at his poor near-beginner wife edging her way down. She would have been happier in ski school; he would have been happier on his own (and could probably have done with ski school himself). 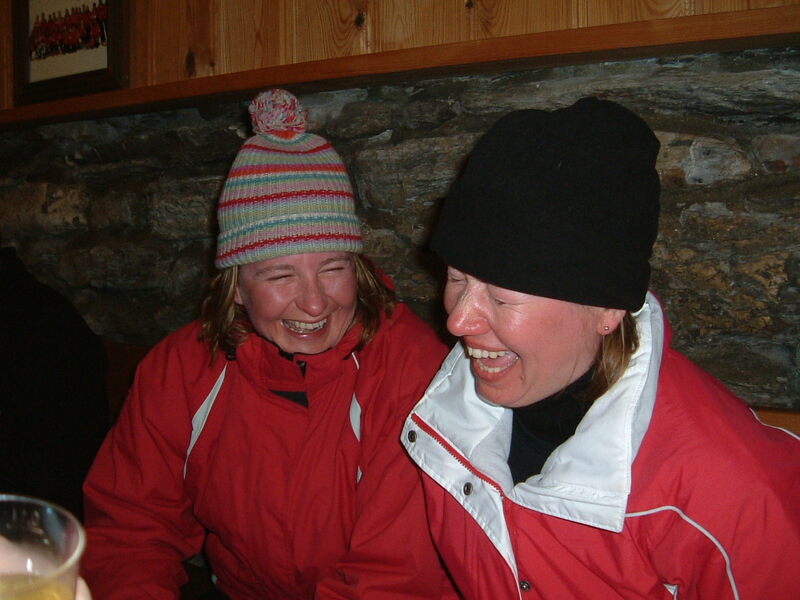 There is an entertaining thread I found a few weeks ago on the Snowheads forum about skiing with ‘other halves’ – follow this link to read it http://tinyurl.com/3cesfpc. I am very much with the school that says be patient, encourage and wait for your slower loved-one – and it will pay off because you will eventually be able to enjoy skiing together. I met two couples who are brilliant examples of this approach this February in Fernie. 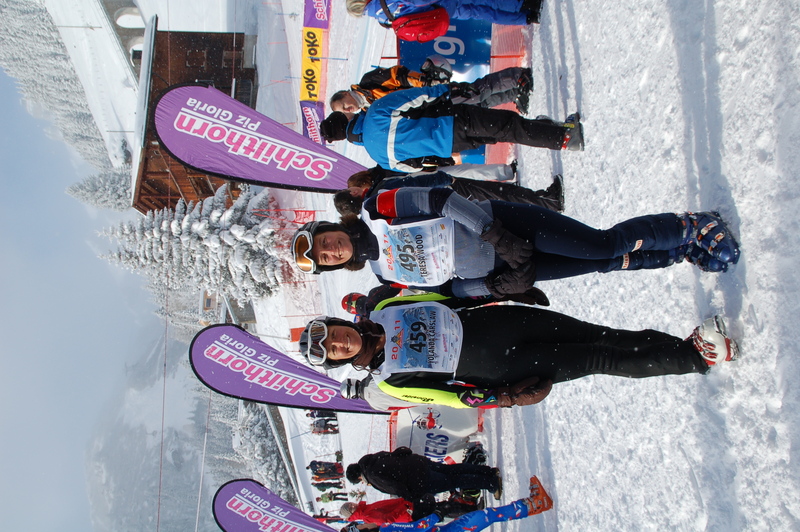 One is an expert skier who was repping there for the Ski Club of GB before me, whose wife only learnt in her 20s and can now easily tackle anything he can. It seemed to me his patient, kind and positive attitude had been a big factor. Another couple I met were a complete beginner and an out-and-out expert living in a mobile home for the winter, with the express purpose of transforming her into a ski-fanatic. By the time I got there in February, she could ski virtually all Fernie’s off-piste runs – and many of them are seriously steep. Her husband-to-be got the balance just right between taking her down new slopes and letting her get her confidence on familiar ones. Today is Swiss National Day, this year marking 720 years of age for the country. While its inhabitants enjoyed a bank holiday, with parties in every village, visitors from the UK will not feel so festive looking ahead to a winter of grappling with an increasingly grim pound-franc exchange rate. Today it’s SF1.27 = £1; on 1 August last year it was SF1.63; in 2009 SF1.78; in 2008 SF2.06; in 2007 SF2.43. The Euro is 1.14 per £1 compared to 1.2 last year (source: currency website xe.com). 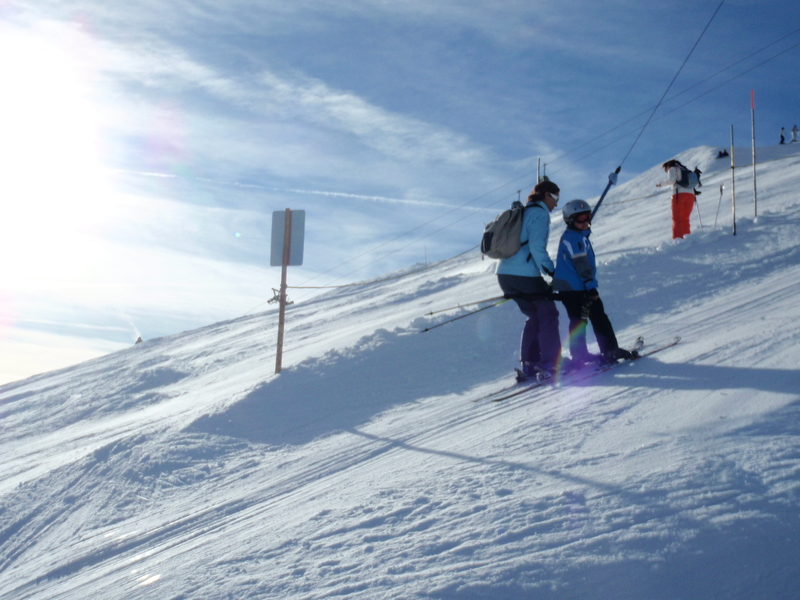 Common sense says this could be a year to go to Italy or Austria – the cheapest of the “big four” – but I think there are plenty of skiers who will remain faithful to Switzerland. To a certain extent I am one of them, chiefly because our family has a fantastic little flat in Anzere. As I’ve been doing my cheapskate best to save cash in Switzerland for years, well before the exchange rate turned nasty, here are a few tips. 1. 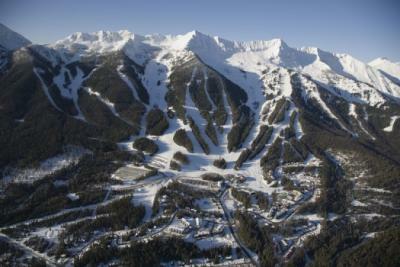 Use the Resort Price Index in Where to Ski and Snowboard 2012 (out in September) to identify cheaper resorts. In the 2011 edition (rrp £18.99), Meiringen was the sole Swiss resort (of those that made the survey) that was cheaper than the average across the Alps. Engelberg and Laax were a little dearer, followed by Andermatt, Anzere, Val d’Anniviers, Adelboden, Champery and Villars. Into the “ker-ching” category, and in ascending order, were Davos/Klosters and Zermatt, then Crans, Verbier and St Moritz. I’ve missed a few – and so have they – but you get the idea. There are various advantages to smaller resorts, anyway – such as fewer opportunities to shop or eat expensively. 2. By canny about guided off-piste. 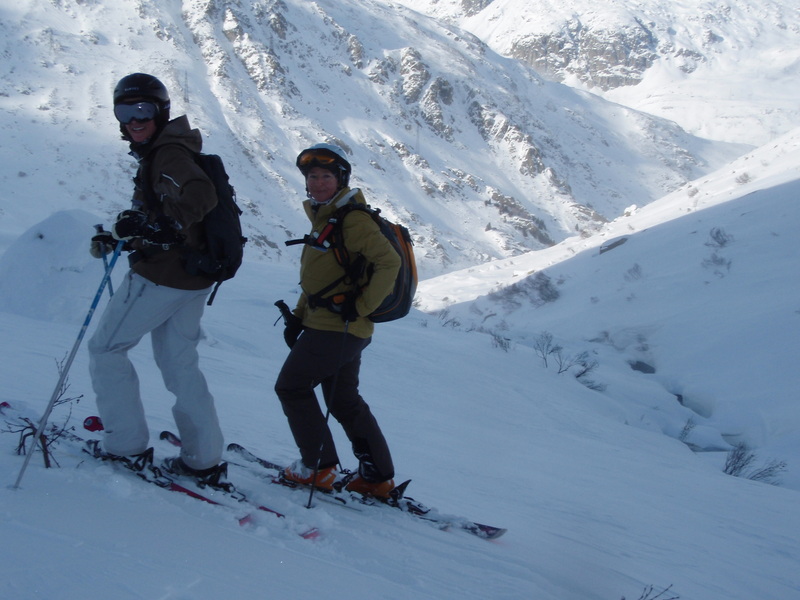 In Andermatt and Engelberg, two of the best off-piste spots in the Alps, a little knowledge can save you a fortune. 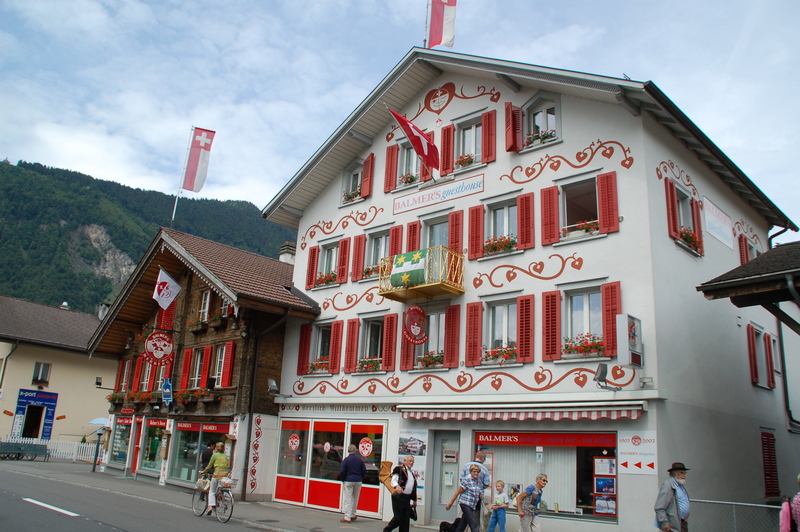 In Engelberg, the guiding centre (opposite the station) is happy to form groups out of strangers, which brings the cost down dramatically if you are on holiday a deux. 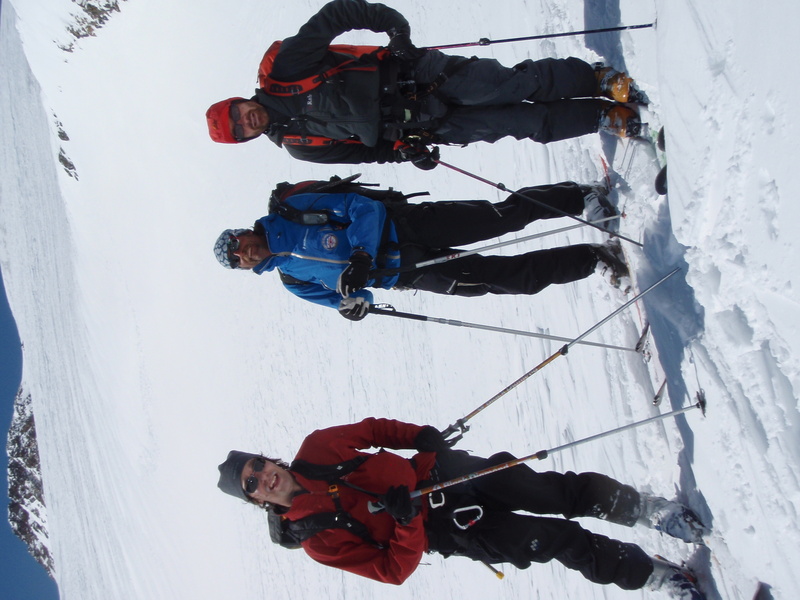 A couple of years ago a friend and I were put with three Swedes for a fantastic day with guide Remo Baltermia. A few days later in Andermatt, we nearly fainted when told the day rate for a guide and instead tracked down Monica Heussi of Andermatt Experience, a qualified instructor who took us to some brilliant remote places, but – as per Swiss rules for non-guides – not on glacier, for almost half the price. 3. In some cases chalet packages will be the cheapest option, but if (like me) you are not a fan of chalets or if they are not an option, go self-catering – or choose a self-catering package with a small operator; for instance, Zuba Ski has uncatered chalets in the Val d’Anniviers, prices tbc soon, and German operator Belvivo has flats in Anzere, including six days’ ski pass, from 249 Euros per person. Even in Zermatt, you can get reasonable rates on apartments – as long as they aren’t flash – in lowish season. Last year my sister and her family of four paid SF1,200 for a week in a central apartment with a balcony. To make this work, it follows that you must then shop sensibly in the supermarket rather than pursuing a daily diet of boutique cheeses and the finest viande sechee. 4. Pick your resort carefully if you have young kids. 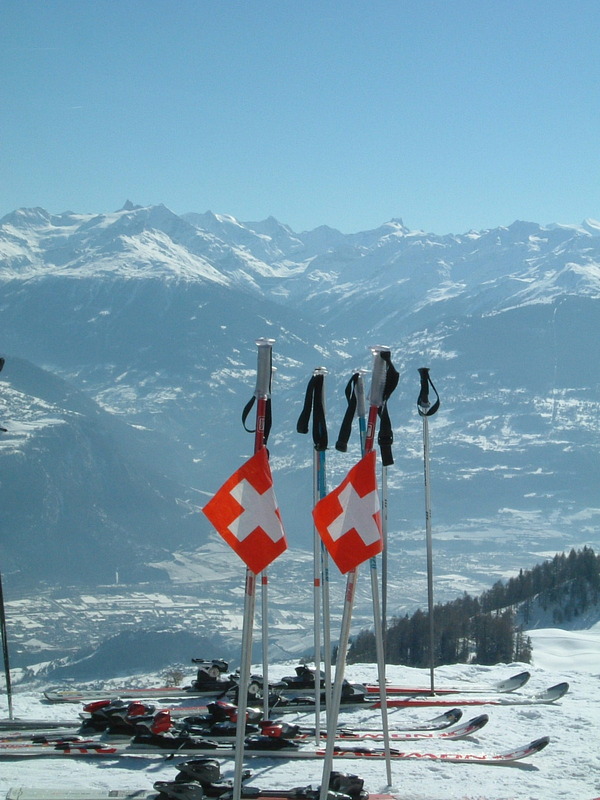 In Zermatt, under nines are free, but in Verbier, Davos and Wengen only under sixes are. 5. Picnic at lunchtime – even in midwinter. Last January in Muerren we ate rolls on the chairlift and stopped for a hot chocolate or two if we needed to warm up. In a blizzard we snuck out our picnic into the restaurant, which I know is naughty, but at least we had cash left to spend in the Staegerstuebli later… In occasional resorts you can cook your own meat on the mountain: in Anzere, there are barbecues in two piste-side cowsheds, plus a supply of firewood, and many a lunchtime have we heaved a rucksack full of saucisses and a tube of Thomy mustard up there (only to forget the matches…). 6. Buy your train pass in advance if you have a long trip from airport to resort – the Swiss Transfer Ticket costs a fixed price for train and/or postbus from airport or border to end point (currently SF130), but it’s only worthwhile if your journey is quite a decent one and if the on-station price is more (check at http://www.sbb.ch/en). 7. Sleep in budget accommodation: Switzerland has plenty. I’ve stayed comfortably in a dormitory in Basel BackPack en route to ski touring, and in the excellent Balmers Herberge, Interlaken (gateway to Jungfrau region), both for around SF30 per night including breakfast. I’ve stayed in the youth hostel and in the then-unmodernised Hotel Bahnhof in Engelberg for around SF45, and in slightly ropey hostels in Zermatt and Verbier for a similar amount. My favourite budget lodging in Switzerland is Chalet Fontana smack in the middle of Muerren, opposite the supermarket, at SF50 per person per night. 8. Make use of ‘guest card’-type offerings. In some resorts you’re entitled to use a sports centre, go on local buses or visit museums and attractions for free or at a discount. Check what you can get and use it. 9. Go for the Tagesmenu. In Zermatt’s Schwyzer Stuebli in Hotel Schweizerhof, three tasty courses costs less than SF30 in winter (and as a bonus there is nightly live Swiss music too). If you’re visiting a hotel for supper, eat in the Stuebli rather than the ‘smart part’, if there’s a choice. For example the Stuebli at the Walliserhof, an excellent hotel in Zermatt run by a friend of mine, offers more rustic, cheesy, reasonable options than the next-door Grill. That’s it for now – and if you have tips for saving cash in Switzerland please post a comment!